Another day, another brand who totally missed the mark. It immediately prompted backlash on social media. Chance the Rapper was one of many calling the ad ‘terribly racist’. Chance, 24, tweeted a clip of the commercial which features a bartender sliding a bottle of Heineken’s light beer to a woman. She looks down sadly at a glass of wine. 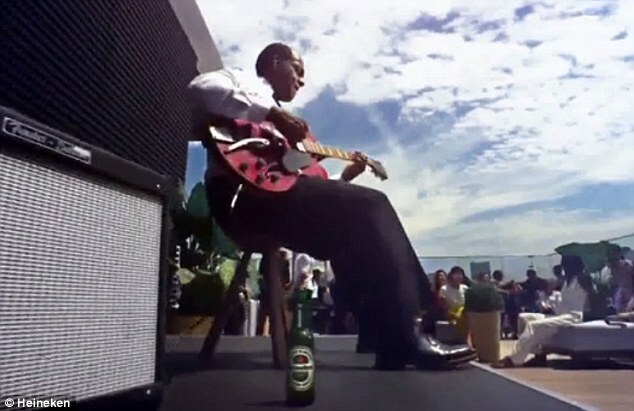 The bottle then passes a black man sitting at the bar, a black guitar player, and a black model. It then lands on a fair skinned woman’s table. 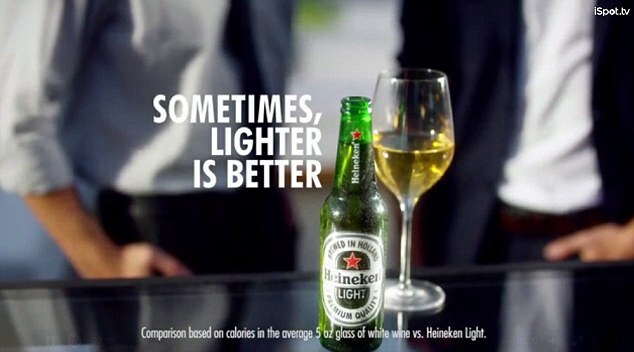 ‘Sometimes lighter is better,’ the slogan reads as the commercial ends. The woman laughs along with two white men. 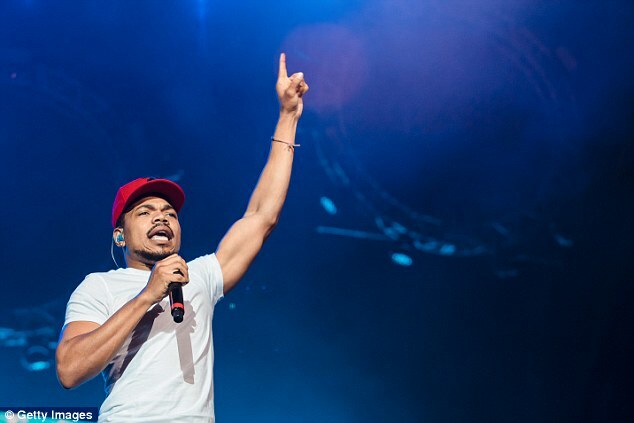 Chance took to Twitter to call out the Heineken ad on Sunday. ‘I think companies are purposely putting out noticeably racist ads so they can get more views,’ he tweeted on Sunday. Chance’s original tweet about the ad received nearly 10,000 likes. 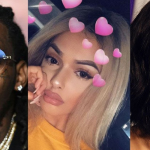 But some claimed that the rapper was ‘reaching’ with his take. ‘Naw, the focus is on the wine, not the people, my take on it,’ one user wrote. ‘Just saw that joint and personally I feel your reaching here chance. It’s a light beer Dawg. U know they’re always saying light beer isn’t as good as regular beer,’ another added. 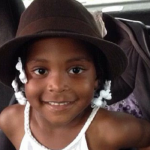 But many more followers thanked Chance for shining light on the ad. ‘Wow…the beer oh so blatantly slides past the POC. Welp looks like I’m not drinking that trash anymore,’ one woman wrote. The ad has since been removed from HeinekenUSA’s YouTube page. 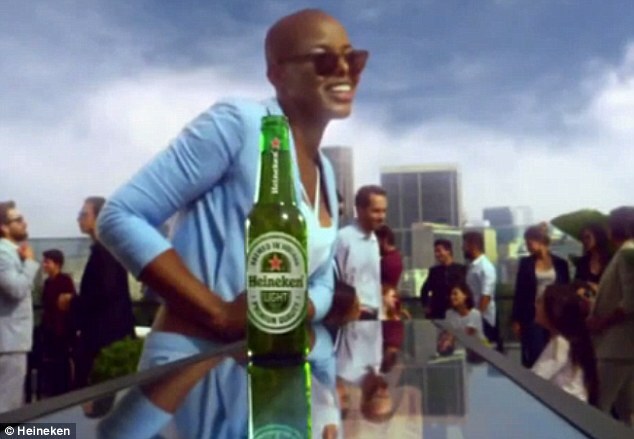 Bjorn Trowery, a spokesperson for the company, told DailyMail.com that Heineken ‘missed the mark’ with the commercial. ‘For decades, Heineken has developed diverse marketing that shows there’s more that unites us than divides us,’ Twoery said in a statement.